Still on the subject of Christmas cards... 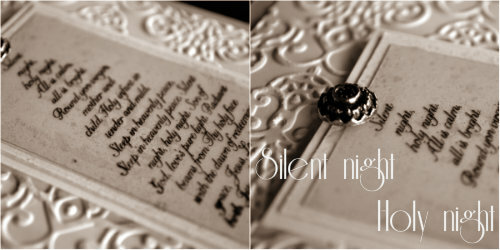 I think my favourite new stamp set is the Silent Night set. I love that I can create both modern funky cards and something more traditional and elegant like you see here today. I also love that it shares the message of Christmas in words from a very familiar and much loved carol. 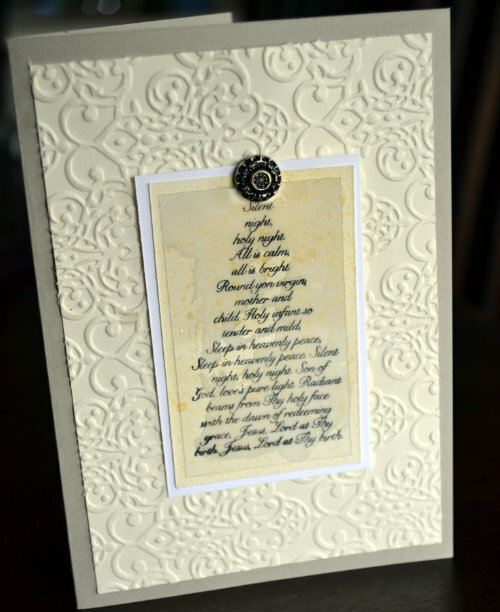 This card using some very simple techniques of layering to give texture, and embossing to add depth and texture to the base card. I also spritzed some gold shimmer paint on the tree (although it's hard to see in the photo) to give some added bling to the card. Hope you like it. Happy crafting.